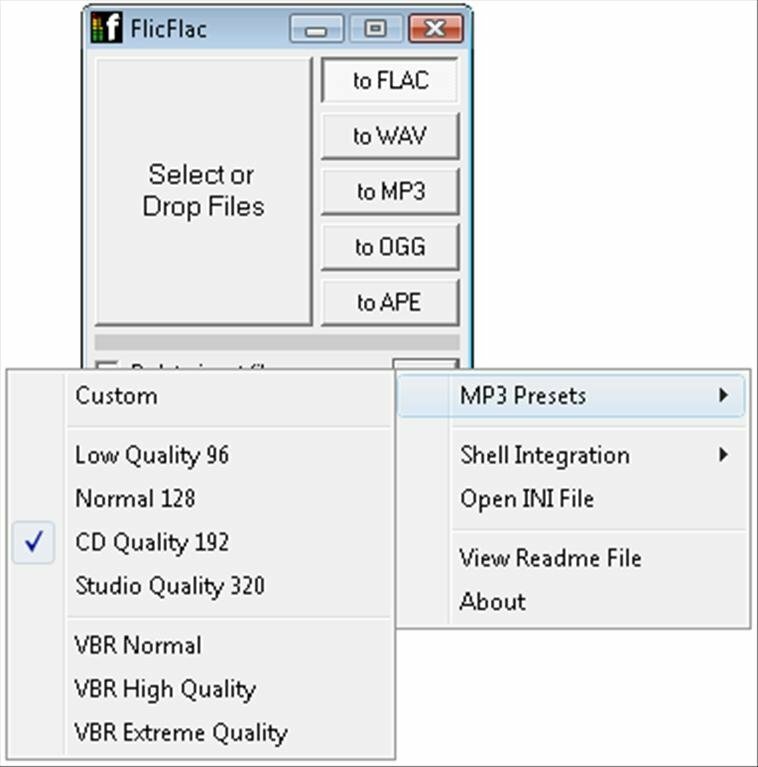 There are many users that are accustomed to search and download music from Internet, but even though the most widespread format to share music is MP3, it isn't at all strange to find audio files in FLAC format, that offers a sound quality that is a lot better. 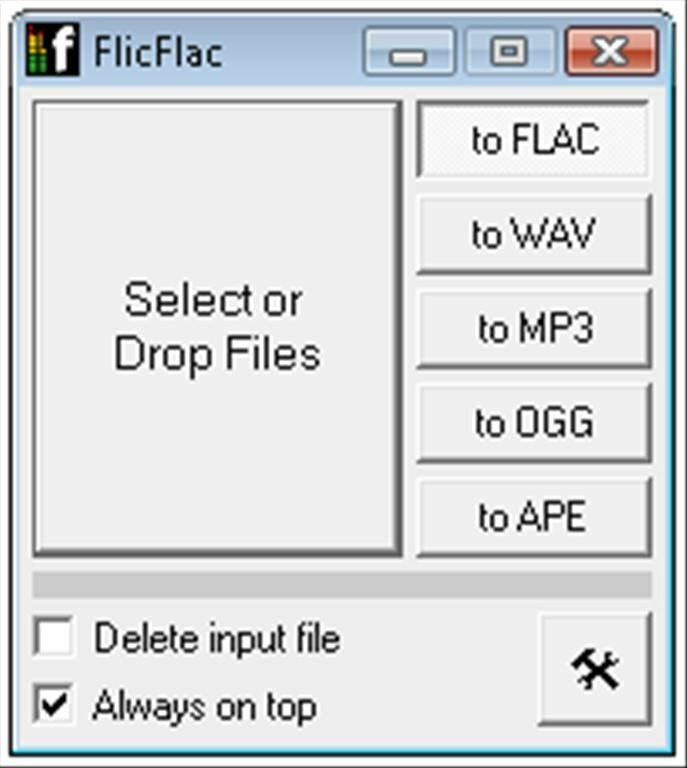 The problem can arise if your player isn't compatible with FLAC files, but you will always be able to resort to FlicFlac. A light audio converter that doesn't require installation. One of the most noteworthy things about FlicFlac is that it doesn't require installation, converting it into the ideal application to carry around on your pendrive to get you out of a tight spot if you find problems like this. 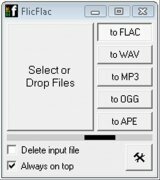 FLAC to WAV, MP3, APE or OGG. 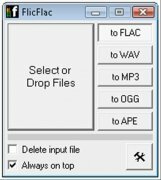 WAV to FLAC, MP3, APE or OGG. 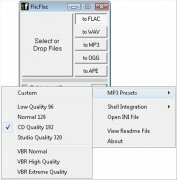 MP3 to FLAC, WAV, APE or OGG. OGG to WAV, FLAC, MP3 or APE. APE to FLAC, MP3, WAV or OGG. 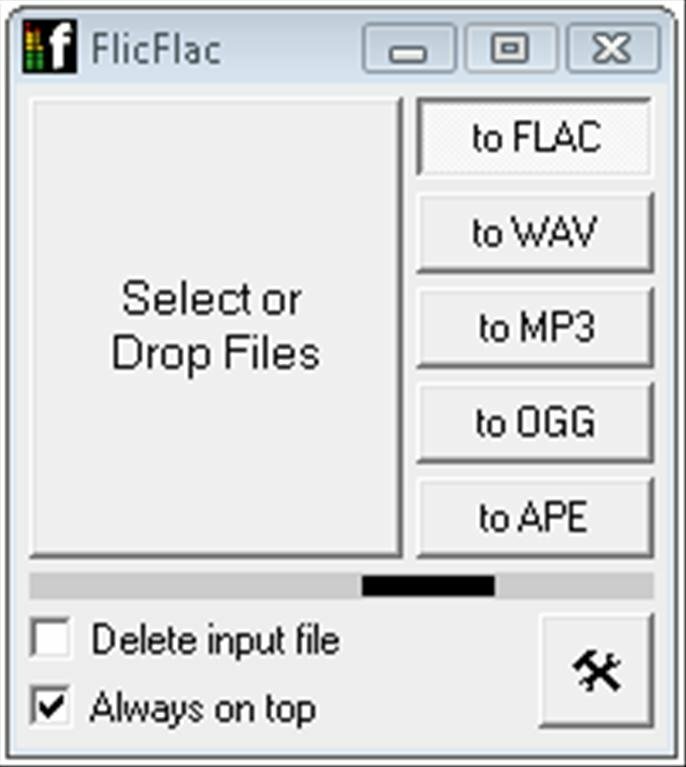 Therefore, if you need an easy-to-use converter, you only have to download FlicFlac.